31 years experience in the Mexican banking system, acting as Technology Associate VP and as Corporate Bank VP at Citibank, N.A., as Financial Planning Head and International Division Head at Grupo Financiero Serfin, as founding partner, Chairman and CEO of Grupo Intercam, including the Broker-Dealer, the Mutual Fund Company, he Real Estate Holding, the US Securities Firm and the Bank. Mr. Garcia Lecuona is also a Director of the following Companies: Unión de Crédito Ficein, Patrimonial Ficein and Insignia Life. He has a bachelor degree of Industrial Engineer of the Iberoamericana University at Mexico City. Postgraduate studies at Columbia University of Economic Engineering and Production Management. He participated Executive and CEO´s program at IPADE in Mexico City and recently in Harvard´s University Behavioral Finance Course. He is married, father of three, loves music, cinema, outdoors sports including hiking, skiing, boating. And for the means of this presentation has dual citizenship and is an active U.S. Taxpayer. The Foreign Account Compliance Act (FATCA), enacted in 2010 as part of the Hiring Incentives to Restore employment (HIRE) Act. Combat tax evasion of U.S. persons holding investments in offshore accounts. • In 1970, Congress passed the Bank Secrecy Act which was the first law on the books in the US to require banks and other financial institutions to reveal personal financial information to the government. • This was long before the Patriot Act, and was originally meant to assist law enforcement agencies in the fight against money laundering. • Over the years, the government has become more interested in US individuals financial information. ••• Now, reporting information about US individuals financial accounts is big deal to the IRS and tops on the list are the Report of Foreign Bank and Financial Accounts requirements (31 CFR 103.24), or the FBAR rules. 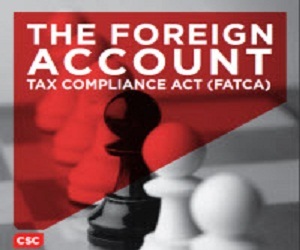 • The FBAR rules focus on foreign accounts. Under the rules, each “US person” with an interest in, signature or other authority over, one or more bank, securities, or other financial accounts in any foreign country must file an FBAR if the aggregate value of such accounts at any point in a calendar year exceeds $10,000. • A “US person” generally means a citizen or resident of the United States, or a person in and doing business in the United States – it is not limited to individual taxpayers and includes partnerships and corporations. • For years, the IRS has taken a low key approach to FBAR reporting. That was because, while the FBAR rules had some serious consequences, the IRS had no teeth when it came to enforcement. Improving FBAR compliance has officially been a Treasury Department priority since the enactment of the Patriot Act of 2001 but those efforts have largely been targeted towards identifying and shutting down funding for terrorist-related activities. • Now, the IRS has made the monitoring of foreign accounts part of their targeted enforcement strategy. • Why, the UBS case. • Foreign accounts are officially fair game. –If the total of your interests in all of your foreign accounts reaches $10,000 or more at any point in the calendar year, you need to file an FBAR. The due date for the FBAR is June 30 of the following year (i.e. for 2012, the FBAR is due on June 30, 2013). Pay attention to that date because it’s not the same as the date for your federal income tax return. And there’s no extension. Once more: there is no extension available for filing the FBAR. –To file an FBAR, check the appropriate block on your federal form 1040 at Schedule B and then file form TD F 90-22.1, Report of Foreign Bank and Financial Accounts. 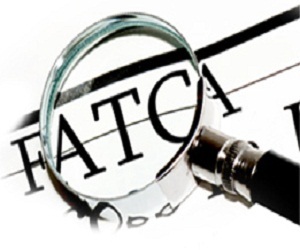 What is new in Fatca? – U.S. taxpayers holding foreign assets with an aggregated value exceeding $50,000 have to report certain information about those assets in a new form (Form 8938) with his annual tax report. – Failure to report Form 8938 will result in penalty from $10,000 to $50,000. – Undisclosed assets will subject to an additional understatement penalty of 40%. – FATCA requires foreign financial Institutions to report certain information about financial accounts held by US taxpayers, or by foreign entities in which US taxpayers hold interest. • The law was approved on March 18, 2010. • FATCA is enforceable to Non US Entities that are part of the financial system “Foreign Financial Institutions” (FFIs). • It becomes “live” starting January 1st 2013. • Force non-taxpayers to pay taxes and comply with US law. • Have FFIs identify “US persons” that are their customers. • An FFI that doesn’t cooperate will be subject to a 30% withholding tax on any payment they receive form a US Bank. • Any Entity that accepts deposits from customers like a Bank, Credit Union, Savings & Loans. • Entities that as their main course of business manage financial assets for third parties like Broker-Dealers, some Trusts, Indeval. • Any foreign Entity that trades securities or commodities like Hedge funds, Private Equity Funds, Mutual Funds, Investment Firms. • FFIs include Insurance Companies that offer annuities and life insurance with an investment component. • Small FFIs (Family Trusts). • FFIs with small accounts or with only local activity. • Investment funds, if they include non-taxable persons. • Holdings or Non-Financial Groups treasuries. • Newcos or in chapter 9 or 11 that aren’t FFIs. FFIs have to produce information according to the signed agreement. a) Direct Agreement with the IRS: FATCA’s original proposal. The FFI makes an agreement to cooperate with the IRS and directly produces the information. b) Intergovernment Agreement: Between USA & México, FFI’s report to it’s regulatory institutions (CNBV & SAT) which will produce information for the IRS. • Provide “U.S. Accounts” information. • Cancel accounts in which customer doesn’t exempt the FFI of Bank Secrecy or avoids providing information. • There is no withholding on Intergovernmental Agreements. 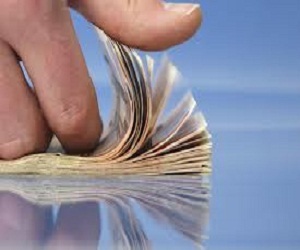 • Any financial account in which the beneficial owner is a US citizen or resident. • Exemptions, Public Companies on recognized markets, Government Entities, Tax exempt Corporations. • Any Non-US Corporation that nor being a FFI has a beneficial owner with more than a 10% direct or indirect interest.